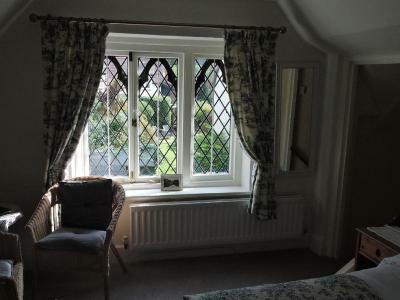 Lock in a great price for The Gables - rated 9.6 by recent guests. Comfy bed. Excellent breakfast. Good shower. Friendly hosts. Good, quiet location. Plenty of good walks from the door. 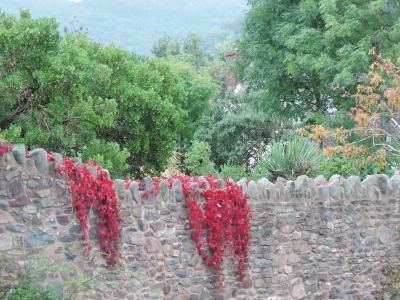 Bus to Minehead if you want to go further afield. Dog said he was very pleased with his sausage! 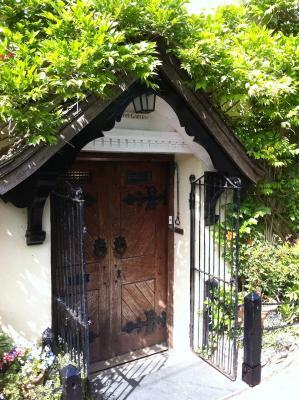 excellent hosts, comfy beds, spacey rooms, great breakfast, good location. 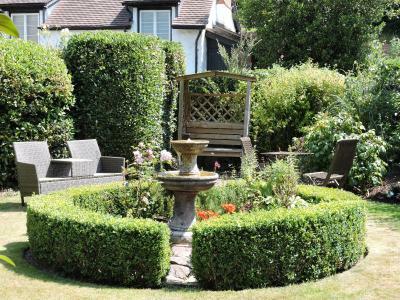 Beautiful house, great location, the hosts were friendly and helpful. 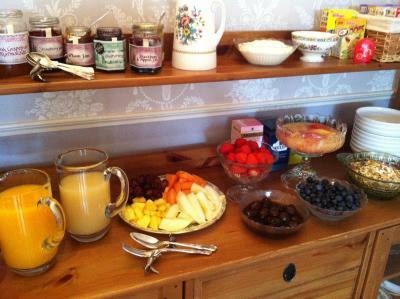 Breakfast was delicious and I wish I had asked how the host made her wonderful compote! 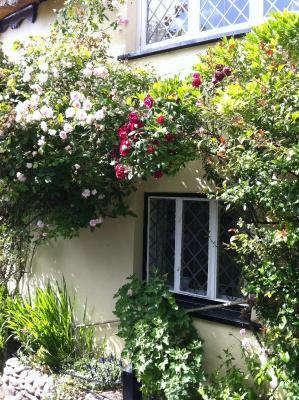 Lovely location in rural village, home from home feel but with the most wonderful breakfast each day. Breakfast was cooked beautifully and wasn't greasy! Everywhere was lovely and clean all the time. 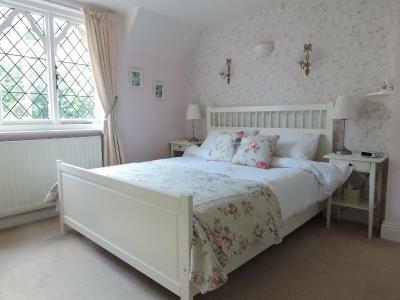 Loverly room and bed. Very friendly and helpful owners and breakfast was great. We will certainly go back there if we are ever in the area. 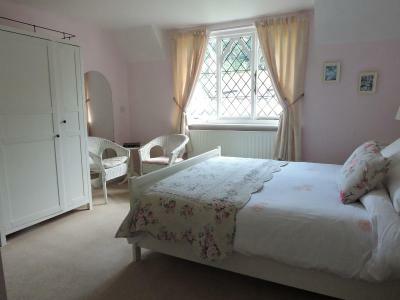 Lovely character accommodation, pleasant and welcoming hosts, great breakfast, comfortable room etc. Only downside is the lack of guest parking. 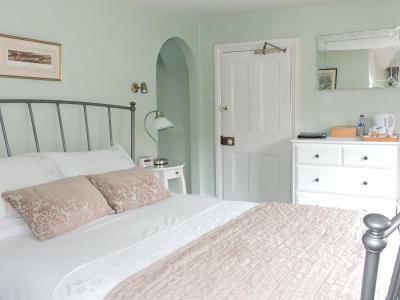 Featuring free WiFi throughout the property, The Gables offers pet-friendly accommodation in Porlock. 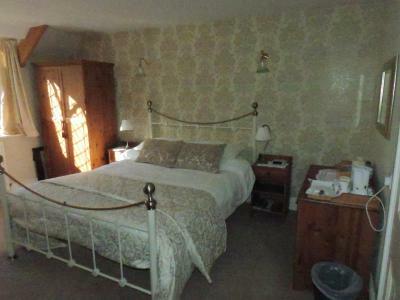 Rooms include a flat-screen TV and have an en-suite bathroom.. Extras include free toiletries and a hairdryer. Weston-super-Mare is 28.6 miles from The Gables, while Taunton is 25.5 miles from the property. 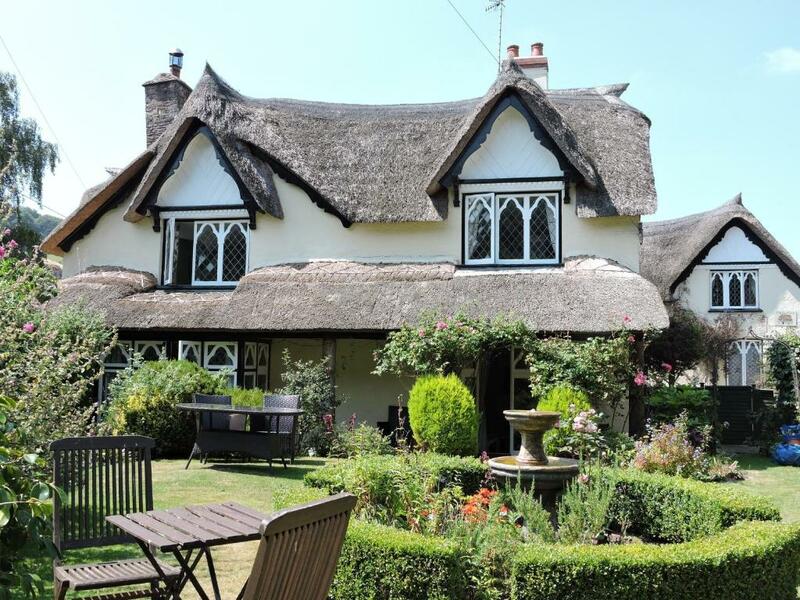 The Gables has been welcoming Booking.com guests since 28 Aug 2015. 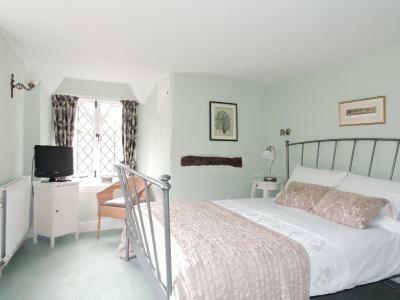 When would you like to stay at The Gables? 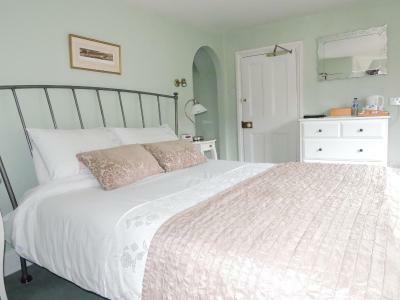 This double room features a flat-screen TV, DVD player and tea/coffee maker. 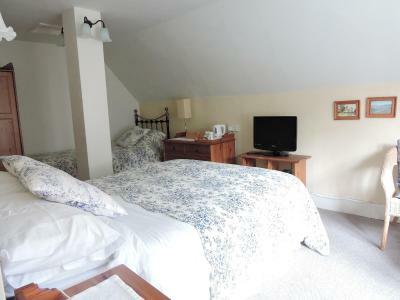 This double room has a electric kettle, DVD player and tea/coffee maker. 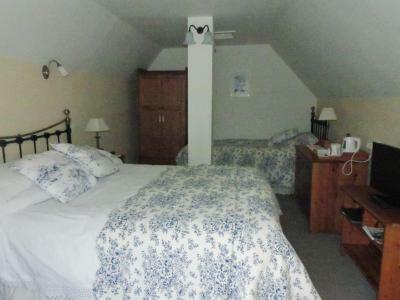 This twin/double room features a electric kettle, DVD player and tea/coffee maker. 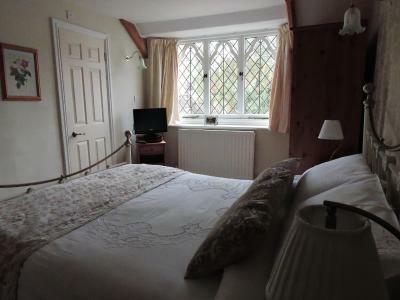 This double room has a DVD player and flat-screen TV. House rules The Gables takes special requests - add in the next step! The Gables accepts these cards and reserves the right to temporarily hold an amount prior to arrival. Nothing really. There’s no parking but a pay & display car park and on street parking are close by. No parking at property but parking in nearby carpark not too far. Parking is in the Doverhay municipal car park below and parking is free from 1800hrs until 0900hrs each next day. Chris and Louise will help carry luggage from the car. Clients should be informed beforehand that this is the uncomplicated way to arrive at The Gables in their cars. 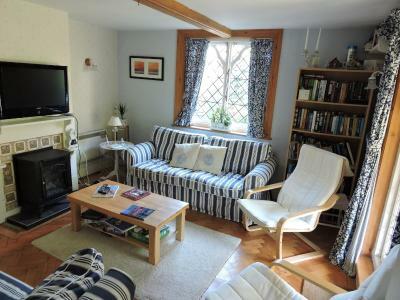 We were charmed by the owners and the accommodation. Chris and Louise couldn't have been kinder and more willing to help. 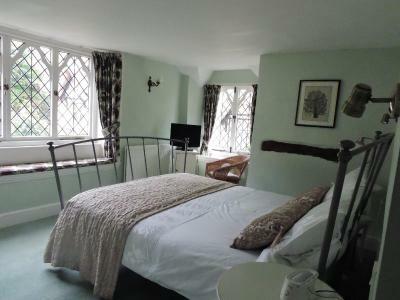 The accommodation was bright, comfortable and interesting. The breakfasts were top quality. In fact quality was predominant throughout. Very good choice for breakfast and well cooked. Parking was offsite but very close, but given the fantastic location of the house and the beauty of the village it was not really a problem. Lack of parking. We had the local knowledge to find parking but without that it could be a problem. There is a car park nearby but it is limited to a two hour stay during the day. 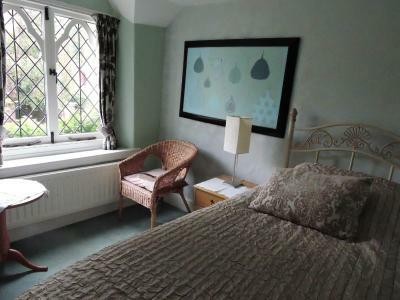 Our Superior King Room with Garden View was quite nice: clean, comfortable and roomy. 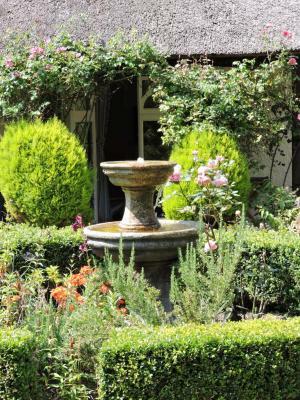 The view of the garden out the latticed windows all added to the charm. 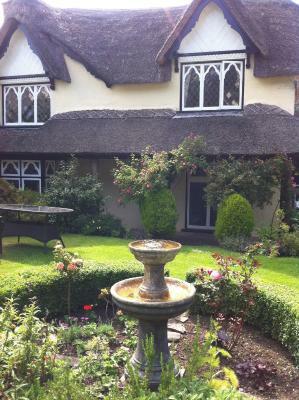 Our hosts were very pleasant, and the breakfasts each morning good and enjoyable. All for a very modest rate we felt. Location was right around the corner from the town’s central street. We parked on a nearby street with no bother. Porlock felt like an unspoiled town but with services, restaurants and walks a tourist could appreciate: a calm and beautiful place.